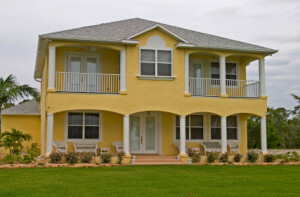 Are you considering buying Hurricane Windows to secure your home? Since you live in Dade County, you have to make sure that your business and home are protected during the tropical storm season. And the best way to do this is by installing hurricane impact resistant window and doors in your home or commercial building, which will give you peace of mind that your loved ones are protected. If you have ever kept track of hurricanes before, you will quickly realize that they are unpredictable and while the National Hurricane Center has several high tech computer programs that predict the path and strength of these tropical storms, they are not always right. And this is part of the reason so many people are not prepared when the hurricane warning is issued by the news stations and local government authorities. Leaving your home unprotected during hurricane season can put some of your cherished memories at risk of being destroyed, just ask anyone that went through Hurricane Andrew or any other severe hurricane. Many homeowners in Dade County are still using outdated protective devices, such as using plywood to board up their sliding glass doors and windows. But depending on how strong the storm is, this can be a bad decision. Impact doors and glass on the other hand is the best way to make sure that your house and family will only get minimal damage and injuries. Too many times are we seeing and hearing tragic stories on the television and radio after a hurricane hits a certain area, don’t let you or your family be part of one of these sad stories. As a homeowner and business owner, you know the amount of investment of time and money that you have put into your property. Sealing windows and even installing new storm tight windows is the first step you take to make sure that your house or commercial building is secure at all time. Once installation is complete, homeowners can contact their insurance company to get a discount on their insurance premiums, by as much as 45%, how’s that for savings? By simply calling our office or filling out the form to the right our knowledgeable employees can help you to decide what type of window is ideal for your particular budget, home, commercial building, high rise or location. Since we have numerous years in the window installation and impact glass industry, we take it seriously in helping our clients protect their homes from Natural Disasters. We have built lasting relationships with all of our past customers, which are more like friends to us than clients and because of this relationship, they have no problems referring us to their family and friends, when they are ready to buy the best storm windows such as PGT Winguard. We make sure that all our staff members get the right amount of experience and education so that they can help each potential customer with selecting the right replacement window that will give them the protection that they are looking for. 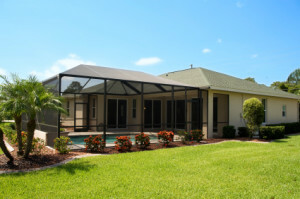 You can have peace of mind that our sales representative will not try to up-sell you into a more expensive hurricane window and doors, simply to make extra commissions. We know the costs of these hurricane windows and doors are not cheap and we want to provide you with the necessary information, so that you can make an informed decision. We will make sure that you only get Miami-Dade approved doors and windows and we do hurricane impact window reviews so that we have confidence that we are selling you only the best windows in Dade. And if you are concerned about the costs and prices, you should know that we buy direct from the best manufacturers, so that we can pass that savings on to you. This is why if you shop around you will find that our prices can’t be matched for the level of service and the top quality products that we provide. We know that you have options for finding contractors to do the installation for you that is why we strive to do the best job possible at competitive prices.